The official World of Warcraft: Cataclysm cinematic trailer is now available. With a seething hatred for the established order of the kingdoms of Azeroth, Deathwing is set to shatter the world in a destructive return from the Elemental Plane. Pain and agony are his tools as he prepares to watch Azeroth burn and quake. On December 7 players will have the opportunity to explore a world forever changed in the wake of his cataclysmic return. This is the way the world ends, and it’s most certainly with a bang. New television commercial for World of Warcraft during the Dallas Cowboys versus Minnesota Vikings NFL game on Fox (U.S.). 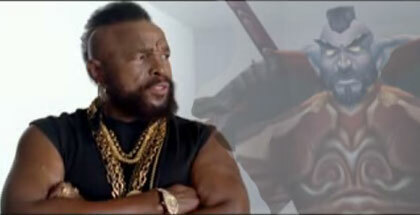 The commercial will feature the first look at cinematic footage from Cataclysm. World of Warcraft Patch 2.0.10 Released! Hi, World of Warcraft patch version 2.0.10 has been released. Players can simply log into the World of Warcraft game client to obtain the latest patch, changes can be found here. Hey, This is cool! 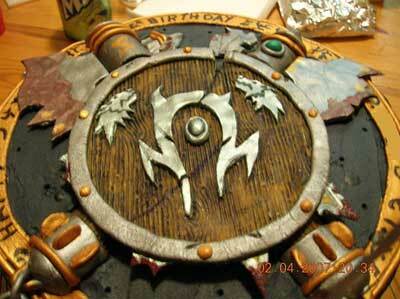 and delicious!, a elaborate World of Warcraft cake make by a WoW widow for her boyfriend… 3 more pics after the jump.